Going green is important – no matter whether you are doing it in your own home or in your office. While it’s good to be green in all aspects of your life, there’s an added benefit to getting your office space green. A company that chooses to use eco-friendly practices can become a “certified green business.” Green certification will allow you to market your company as a green friendly business that cares about the environment. If you’re interested in the certification process, here are a few common questions that business owners have and answers. Green business certification is a relatively new process. It’s a mark of approval that your business participates in measures to help save water, save power and save resources. You’ll need to meet a certain series of criteria that show that you’re making efforts to reduce your company’s environmental impact. Why should my company be certified green? Being certified green can help your business save water, energy and raw materials used for businesses. Your eco-friendly practices will reduce your company’s impact on the environment and save you money to boot. Green certification will increase your standing within the business community and with your target market as well. You can be listed among green businesses in your area, which may bring you in new business. When can I be certified as a green business? adopting an environmental purchasing policy to buy products that are made from recycled material or that are energy efficient. stopping the usage of Styrofoam and unnecessary plastics and stopping junk mail delivery. 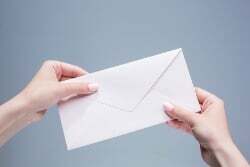 re-use materials by using the back of previously printed on paper, re-using old envelopes and re-using garbage can liners. install light timers to reduce usage of lights or replace standard bulbs with compact fluorescent bulbs. Although there is no official governing board of green certification, there are several different options for green business certification. Most cities and counties offer some form of certification. Counties across the country are interested in making work environments safer and more eco-friendly for their resident businesses. In addition to localized green certification programs, there are also national third party certification programs that help you get certified. How does my company get certified? Most business certification programs will include a checklist that your business can use in order to detail the work that your company is doing to make your environment more eco-friendly. You’ll need to meet a minimum standard in each major category of usage to be certified. Contact your county or city to see if green business certification is available in your area. You can also contact national companies and ask for certification standards. You can find certified companies from the U.S. Government’s official list of green business certification resources.